Toba no Himatsuri (Fire Festival) is the Shinto ritual of Toba Shinmei Shrine which has been transmitted since about 1,200 years ago. 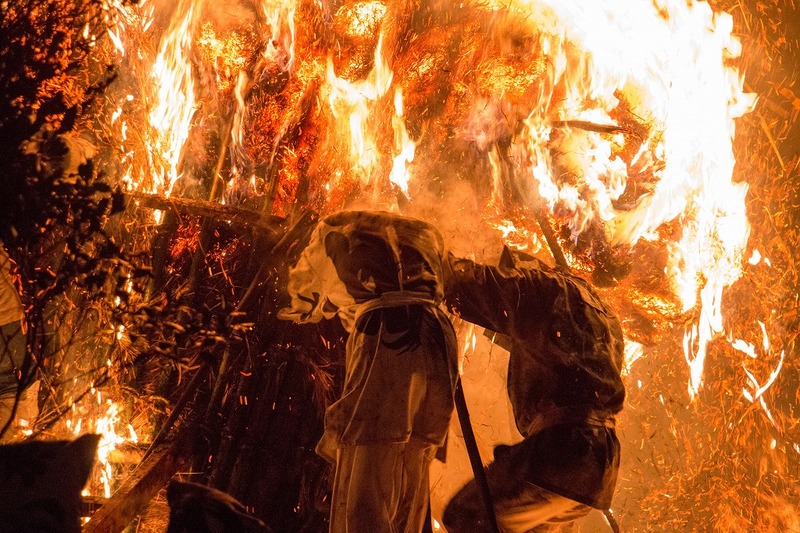 On the second Sunday in February every year, Toba Shinmei Shrine in Nishio City will hold a fire festival where the fire pillar stands up in the refreshing winter night sky. 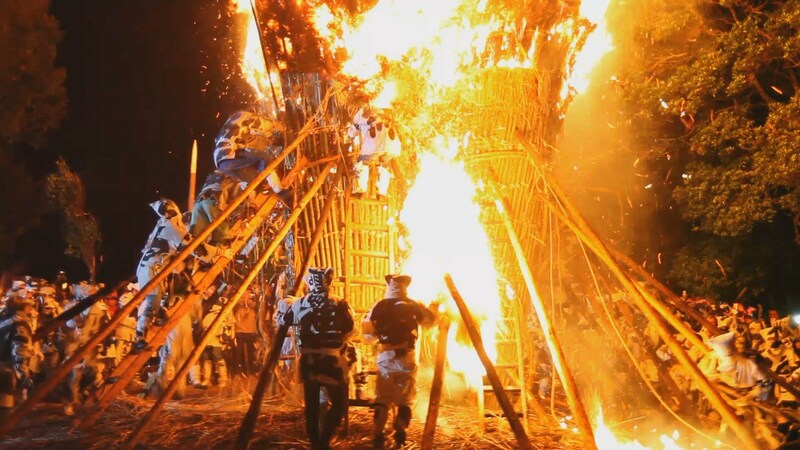 In the festival, two “Suzumi” huge torches with a height of 5 meters and a weight of 2 tons are installed in the precincts. 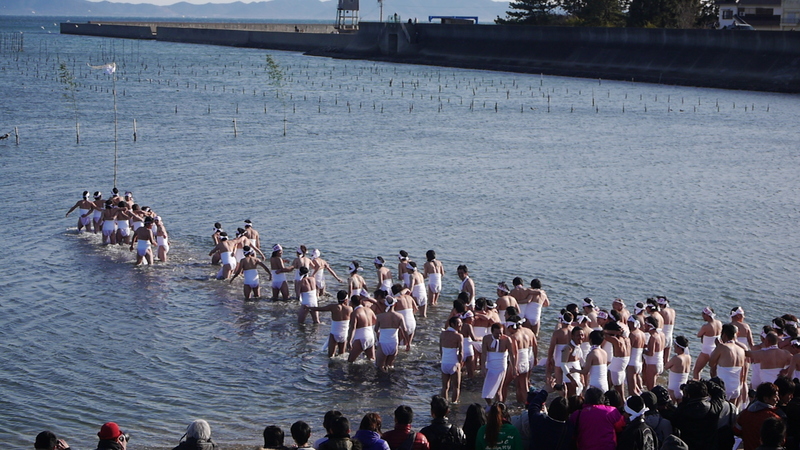 After the two “Shin-otoko” and their ministers cleansed themselves in the sea, in the evening two fire torches are burned as symbols of the festival. 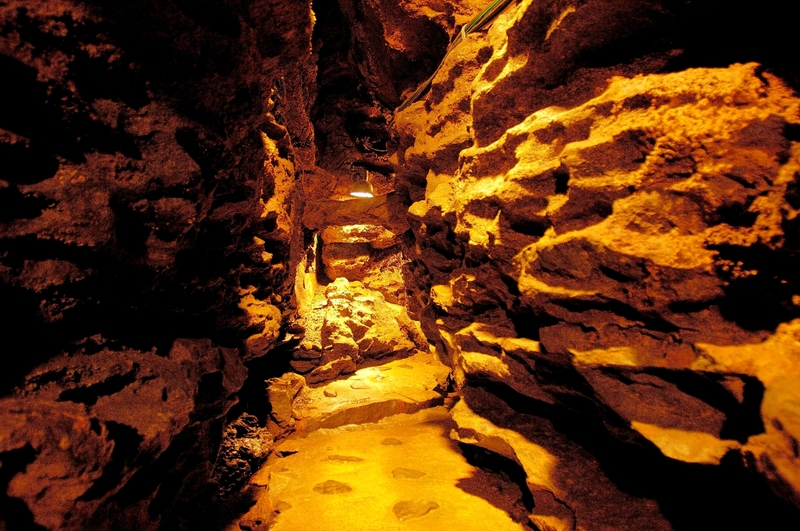 It has been said that since ancient times the burning condition of “Suzumi” had occupied a year’s weather and abundance. The scene where the Shin-otoko jump into the intensely burning “Suzumi” and takes out the sacred tree to serve the divine competition is the most important highlight. A serious game where Shin-otoko and others do not fear the flames and challenge with a whole body is a gripping spectacle. 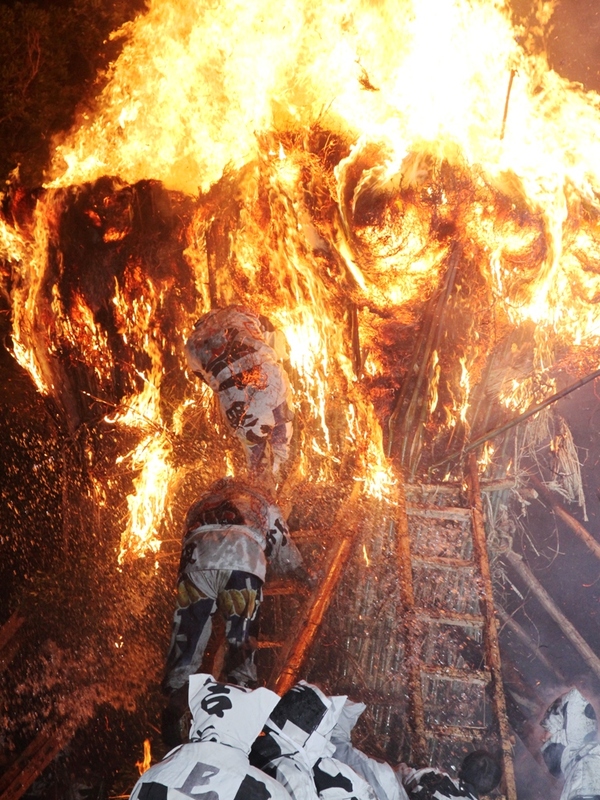 The Japan’s most dangerous fire Festival, “Toba no Himatsuri” (The Fire Festival of Toba). Toba Shinmei Sha (Toba Shinmei Shrine) is the old shrine that has been founded in 806 to 809, and “Toba no Himatsuri” known as a strange festival of the country designated as the important intangible cultural property. On second Sunday of every year February, the fire festival that a pillar of fire shot up is held on a cold, frosty winter’s night sky in Shinmei Toba Shrine of Nishio-city. 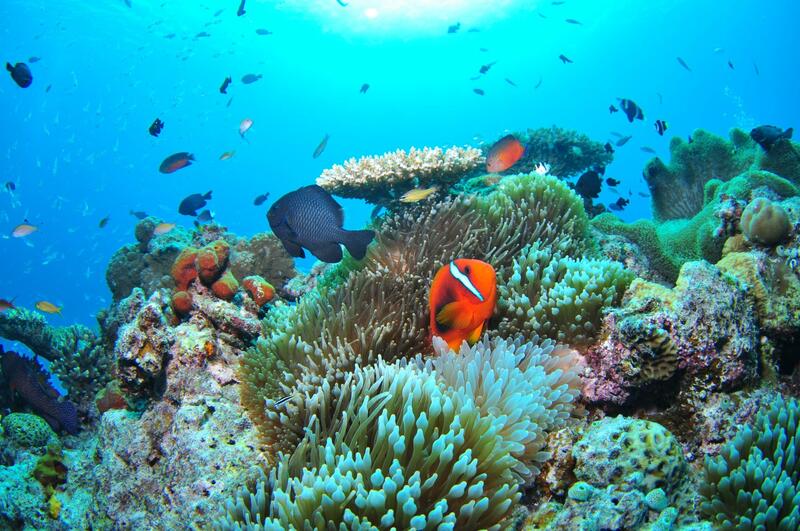 The “Kamio” enter cold winter sea to fast and to wash one’s body to purify oneself. 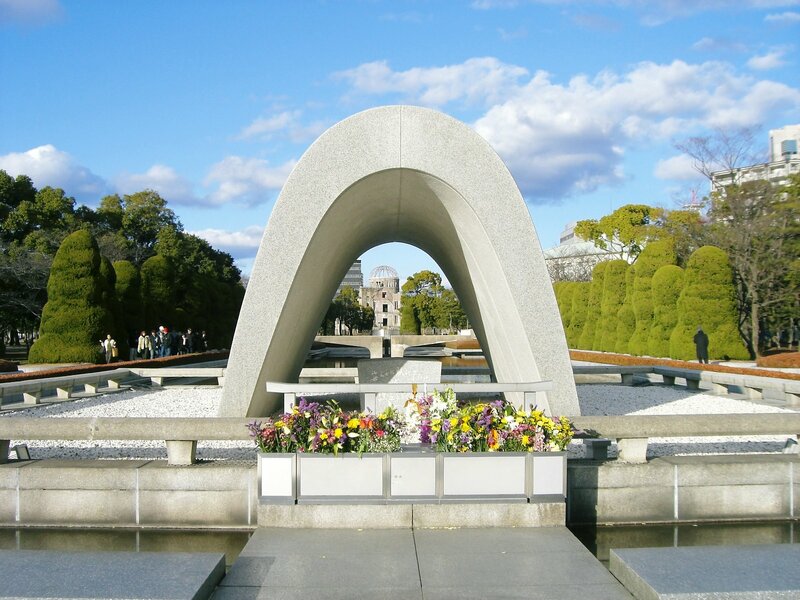 The two huge torches called “Suzumi” that is 5 meters in height, 2 tons in weight are installed, and fire up it at the precincts, the “Kamio” divided into two sets of east and west jump in flame, and compete to take “Shinboku” (a sacred tree) and “Juni-Nawa” (12 ropes) out from the fire, and offer it before Shinto God. How rich or how poor the harvest of the coming year is forecasted by victory or defeat of it. It is said that if you use chopsticks made of the half-burned bamboo stick, you do not suffer from the disease of the tooth, so there are some visitors taking it home. 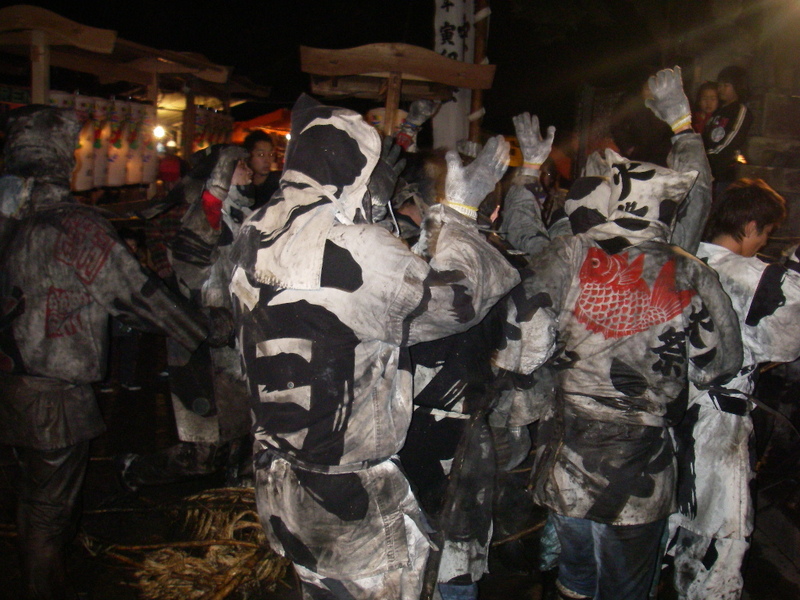 Come to the “Toba no Himatsuri” to burn a winter night sky by all means!